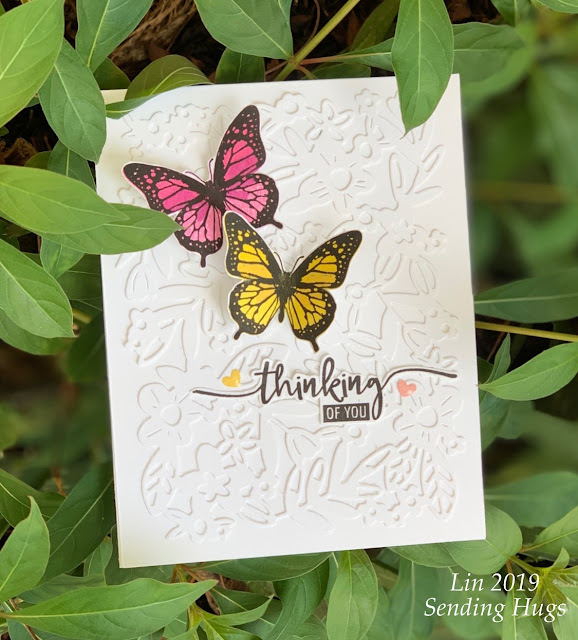 I glued my garden cover plate directly to my card base, then stamped and fussy-cut the butterflies and sentiment and added them, popping up the butterflies. This is beautiful Lin! 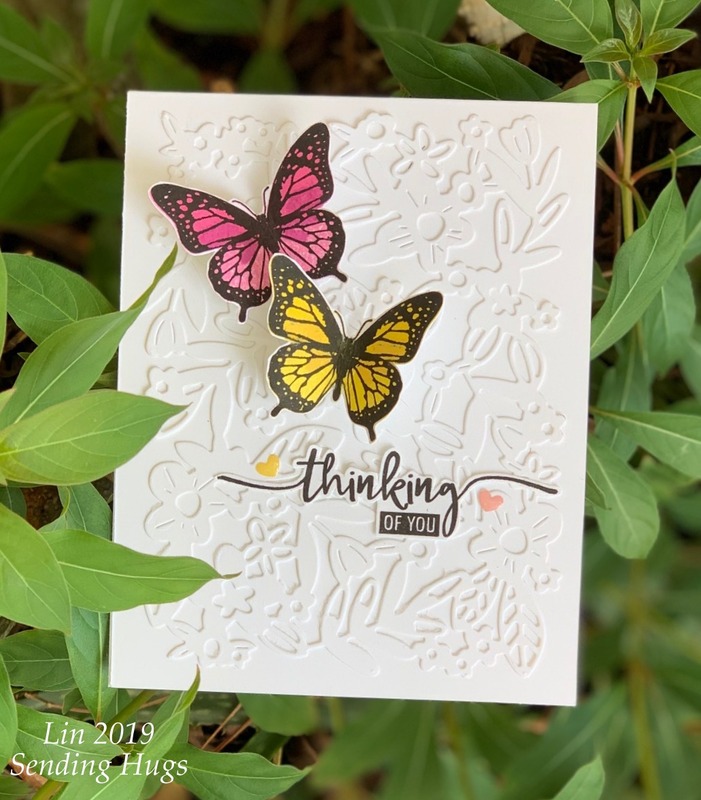 Your butterflies look like they could flutter right off your card. Thanks for the glimpse of spring! This is so very pretty, it sure chases away the Winter blues! The colorful butterflies are fantastic against the embossed panel.